The convocation, held March 3 at Mercy High School in Baltimore, led its participants to fulfill Catholic social teaching through prayer and education. 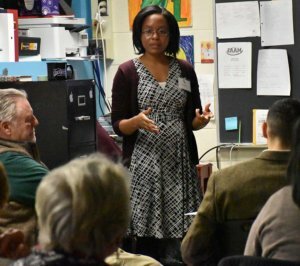 Workshops, many in both English and Spanish, offered insight to topics such as finding common ground among life issues, immigration, life after incarceration and understanding racial bias. 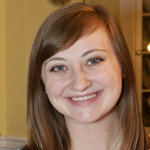 Dana Davenport, the assistant director of parish social ministry for Catholic Charities of Baltimore, led a workshop, “Navigating Politics Today.” She noted that this year – 2018 – holds significance as the 50th anniversary of Pope Paul VI’s encyclical, Humanae Vitae; the assassination of Rev. Martin Luther King, Jr; and the Poor People’s Campaign. Her workshop was very well-received. In a question-and-answer session that followed, Davenport offered advice on voting as a Catholic; she encouraged participants to know their faith and facts. The convocation allows leaders of parishes and anyone interested in social justice to find information and resources in a central location. Throughout the day, there were opportunities to visit the Social Ministry Fair set up in the halls. “The best kept secret of the Catholic Church is social justice,” said Gisele Ferretto, a parishioner of St. Joseph in Fullerton and a volunteer with the Catholic Campaign for Human Development (CCHD). CCHD is the domestic anti-poverty program of the U.S. Conference of Catholic Bishops. Ferretto said CCHD and the convocation provide resources to move toward solving the root causes of social injustice, rather than just offering acts of charity, such as donating food or clothing. “Another way to feed the poor is to end poverty,” Ferretto said, adding that solutions must be a joint effort between those within the community and those offering assistance. The keynote address was given by Deacon Curtis Turner, principal of St. Frances Academy in Baltimore. The majority of his students live below the poverty line. The day ended with Auxiliary Bishop Emeritus Denis J. Madden leading a prayer service and presenting awards to social justice advocates from Baltimore City to Frederick County. Twenty-eight men and women from 16 parishes were recognized at the convocation, for their service (S), or their advocacy (A). St. Anthony of Padua, Baltimore: Michael Ward, S; Rose Kurtz, A.
St. Dominic, Baltimore: Sister Marie Seton Walsh, S.
St. Francis of Assisi, Baltimore: Barry and Patricia Brownlee, S, Michael Faherty, A.
St. Francis of Assisi-St. Mary, Petersville: Robert “Bob” Quin, S.
Holy Family Catholic Community, Middletown: Lauren Dutrow, A.
Immaculate Conception, Baltimore: Janis Logan, A; Margaret Jones, S.
St. Isaac Jogues, Carney: Dr. Barbara McLean, S.
St. John the Evangelist, Columbia: Howard and Mary Beth Last, S; Amy Lamke, A.
St. John the Evangelist, Frederick: Pauline Manalo, S; Leslie Mansfield, A.
St. John the Evangelist, Hydes: Anthony and Mary Pat Marzullo, S; Nancy Burke, A. Most Precious Blood, Baltimore: Ann Collins, S.
New All Saints, Baltimore: Mildred Proctor, S; Sherita Thomas, A. Our Lady of the Fields, Millersville: John and Joan Hoppa, S; Minerva Rivera, A.
St. Veronica, Cherry Hill: Susan Locklear, S.
St. Vincent de Paul, Baltimore: Mary Catherine Bunting, S; Giuliana “Jules” Valencia-Banks, A.